With dozens upon dozens of skins available for League of Legends, you have to wonder which ones are really raking in peoples' cold, hard cash? 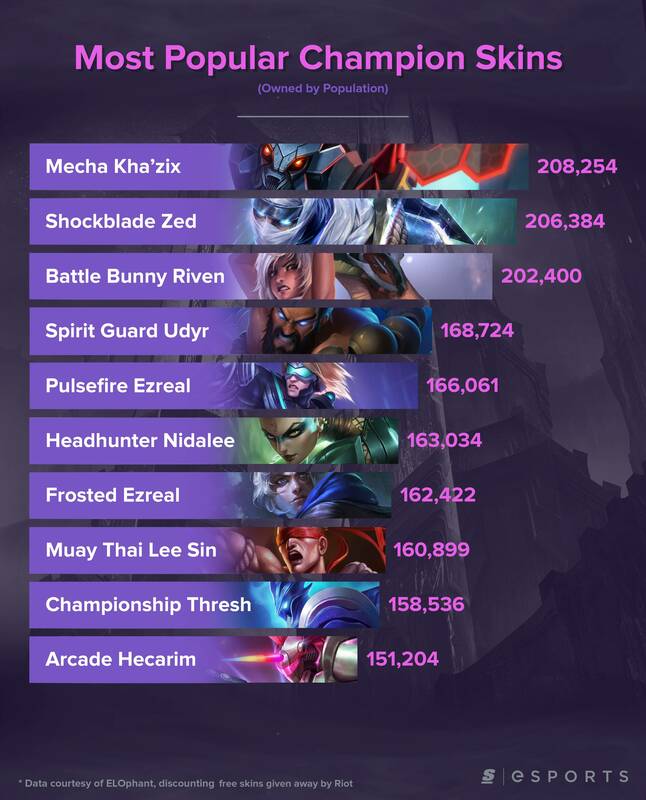 To find out, theScore esports compiled this infographic of the ten most popular skins in the game by ownership. For the purposes of this infographic, we discounted skins that were available for free such as Riot Girl Tristana, Unchained Alistar.